The Los Angeles Press publishes the best in emerging art, literature, and political discourse, from Southern California, the West, and beyond. We are committed to uplifting and focusing on Voices Yet Heard, including Women, POC, LGBTQ+, and traditionally under-represented and marginalized artists and writers. 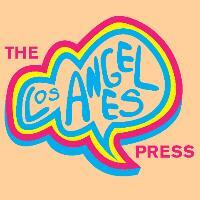 The Los Angeles Press is a Print and Online Publishing House & Imprint, introduced by The Los Angeles Review of Books and the LARB/USC Publishing Cohort. We are devoted to community engagement, and to the pursuit of social, economic, and environmental justice. Your submission should include the original work along with translation. We request a statement granting permission to publish both the original work and translation online, certifying that you have received permission from the original rights holder (either the publisher or the author, as applicable) to grant such rights. The Los Angeles Press retains first North American serial rights of work published, to produce, reproduce, distribute, and market. All other remaining rights revert to the author upon publication. If the work is published again, we ask for a credit to indicate that work first appeared in The Los Angeles Press. We encourage submissions from all artists with connection to this place in the West.